I've been working away at several things in the Sewing Dungeon this week. One I will blog about later (it is for someone and want to wait until they receive it). I've also been doing some organizing as I come across projects. I've been putting them in zip bags - the 2 1/2 gallon size. Most projects will fit into one but I've got one that is taking up two! 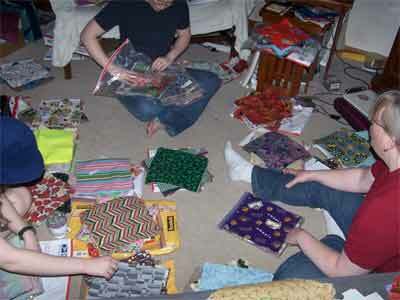 That project might end up being a king sized quilt! Here is some of what else I've been working on. 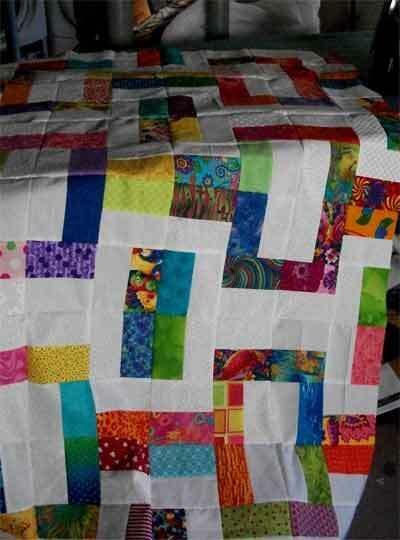 Another Amanda Baby Quilt for a shop sample (a LQS wants to sell my pattern! ), a Bento Box and a Bit pattern block to test a pattern for someone else, and the lovely little Winding Ways blocks (just put another one up after this picture was taken). 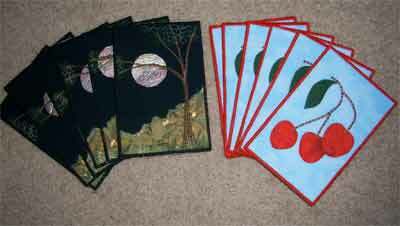 I'll finish up the Amanda quilt and make up some more of the Bento Box blocks now that my batik swap fabrics have arrived. I am really enjoying getting back in the swing of things and producing! And I feel good about organizing (I just can't get as energized to DO it). Freshly cut soap on my counter...it smells SO good! 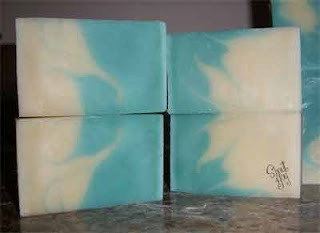 I swirled this soap, but it was fairly thick so the swirl is not very fine. 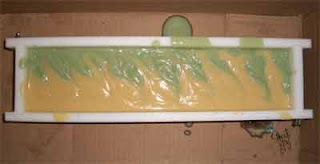 It makes for some interesting looking soap, though! 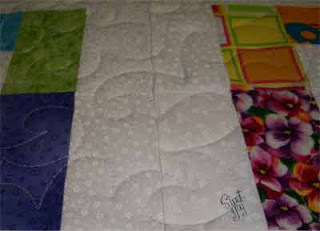 I also snuck down to the sewing dungeon...started another Amanda Baby Quilt for a quilt shop sample...pictures tomorrow! Any way...today I printed off my recipe, measured out all of the ingredients...and proceeded to make soap! The first step is to measure the ingredients. I have a handy-dandy USB electronic scale that The Army Guy bought for me when our local Radio Shack closed. I can measure to my heart's content...or until the ingredients are all measured! I love soaping in the warm weather. I can mix my lye up outside and not have to deal with the fumes. 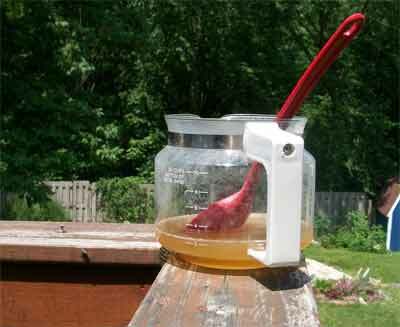 Here is the lye and aloe vera juice concoction airing out in the sun on my back deck. 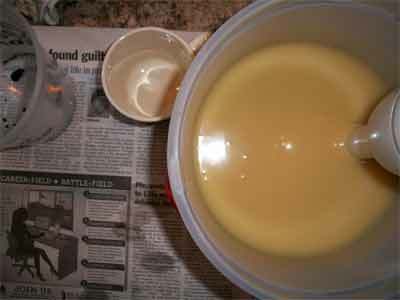 While in the throes of soaping, I forget to use my camera *sigh* so here is a picture of the oils and the caustic solution when they have almost reached trace. It is opaque and starting to emulsify. 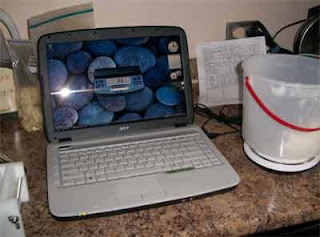 I will then move some of the soap to the smaller container shown on the left, using the cup in the middle. 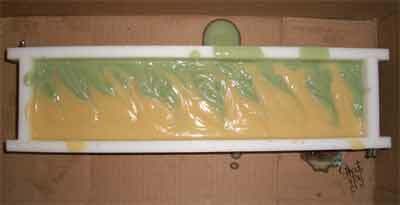 That container already has some green color in it, waiting to color half of my soap batch. Thankfully The Peanut was home and helped me pour the soap into the mold. I prepped the mold by putting it into a cardboard box because I was concerned that we might just spill some out of the mold...I usually spill...and soap chemistry and kitchen floors are a slippery mix! 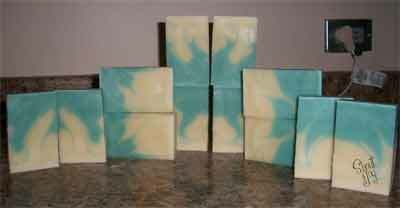 We each poured our soap into opposite sides of the mold and then I swirled the two together. I can hardly wait until unmolding so I can see how much of a swirl I really got! This green will morph until it looks mostly blue and the scent is some that I just had a little bit of and have had for too many years. I'm not sure if it will morph just because it is old, but considered it worthwhile to use it in a trial batch, hoping it keeps it's scent through the saponification process. Tomorrow I'll unmold and cut the soap...and give you a peek! 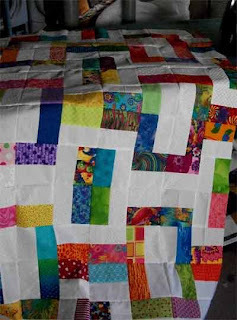 I entered the One Thing, One Week Challenge to encourage me to finish up this quilt. 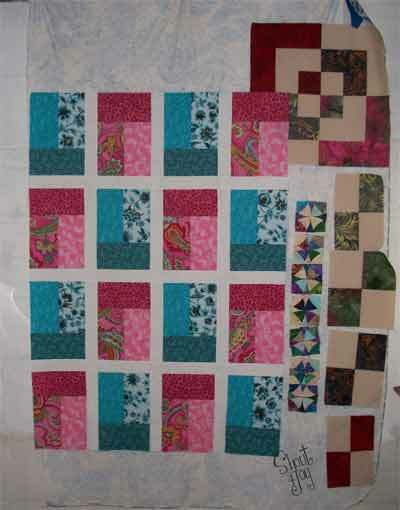 The blocks were from a block swap, and while they made me happy, I knew I'd be happier with a finished quilt than with a stack of happy blocks! 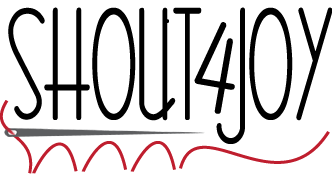 another Vote For Me (please) post! Last week was a crazy-busy week. It was VBS at our church and the family was heavily involved from decorating - to acting in skits - to leading music - to telling the Bible Stories - to tear down. And, to top it off, I was chosen for Jury Duty. I didn't spend much time in the sewing dungeon. So, yesterday, I spent the day quilting. It was so nice :) I got two quilts quilted. I used free motion meanders for both quilts which made for a very productive day. One was for someone else, and I don't have permission to post a picture. I chose to do a fleur-de-lise meander as it isn't too feminine - and is just a fun meander to do. It really feels good to be back in the sewing dungeon after a busy week! 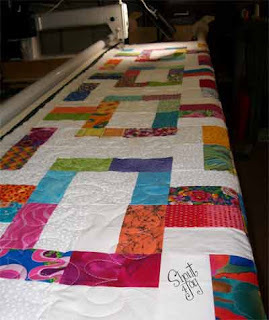 How is your quilting going? My design wall has one more of these 3' blocks on it. 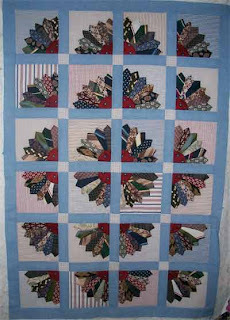 I used that one block for leaders and enders while sewing the rows together on this picnic quilt top I put together. I have a wedding open house to go to later this month and so I pulled out the picnic quilt blocks that were from a swap last year and I will gift this quilt to the young marrieds. I'm going to miss this quilt. 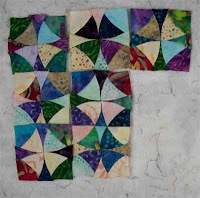 Even though it has just been a pile of blocks, they made me happy every time I came across them, thinking of when I would put it together and quilt it. 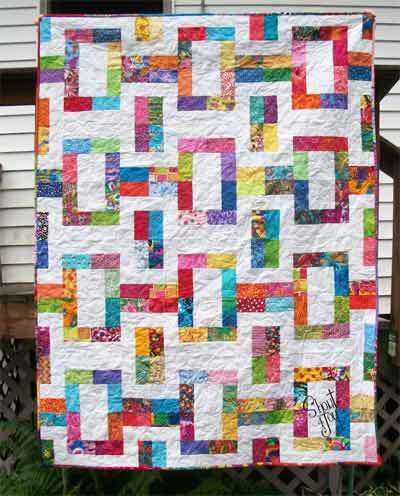 For more design wall inspiration and quilt stories visit Patchwork Times. 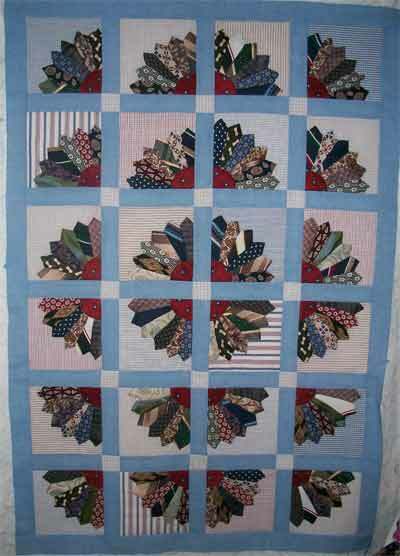 Another contest on The Quilting Gallery! 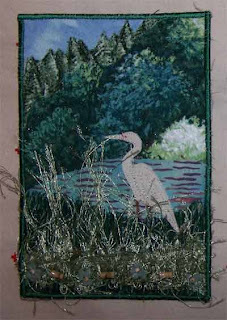 If you feel so inclined, please vote for my postcard at The Quilting Gallery. ...and I'm not happy about it! Sitting at my sewing machine or standing at my quilting machine is great therapy for whatever my brain is overtaxed with. The Obnoxious Fabric Swap is all swapped out. I'm hostessing two online swaps that are wrapping up...one is centralized, so I have to sort out hundreds and hundreds of 10" squares and the other is decentralized, so I just have to watch that people mail out what they signed up for! I was signed up for two groups, and I am working on getting the envelopes addressed this evening. AND at church I'm coordinating VBS and also chairing the Search Committee for a new pastor (ours retired at the end of the year).